Evolution is necessary for any form of sport to remain relevant and since its inception, the game of cricket has evolved a lot in order to remain engaging to the audience. Timeless Tests evolved into 5-day Tests and uncovered pitches were replaced with 22 yards protected central strip. As the game changed, new shots were invented and bowlers began developing a wider range of skills. In the midst of all this, the one thing that has remained the same without any major change is the art of wicketkeeping. Up until the 90s, players got into the team purely on the basis of their keeping alone but the arrival of a golden set of wicketkeeper-batsmen during the late 90s and early 2000s changed the trend. In T20s, wicketkeeping has become an additional skill rather than a necessity as teams prefer a destructive batsman to a pure wicketkeeper. Very few players in the history of cricket have balanced their batting and keeping in an effective manner and this article features 5 such players who made a huge impact on this game. The first thing that comes to a cricket fan’s mind on hearing the name McCullum is that fearless sprint to the middle of the pitch to a fast bowler. That sprint epitomizes McCullum’s whole career. Bold, fearless and unstoppable when on the song. He was a show stopper and one of the most crowd-pleasing cricketers of the 21st century. As a wicketkeeper, he compensated for his lack of height with great acrobatic skills which resulted in some insane diving catches. Once he gave up wicketkeeping, He turned out to be a great fielder too. 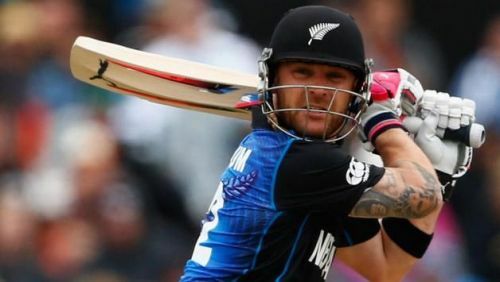 Even at 36, there are very few who chase the ball in the field like McCullum does. His fearless captaincy revolutionized cricket in New Zealand and was praised even by his opposition. As a batsman, he played many memorable knocks. If you are a fan of India, you are never going to forget his match-saving a triple hundred and anyone who witnessed his 158* in the IPL opener will cherish that memory for a long time. Eight years after that IPL century, he scored the fastest century in Test cricket history as he demolished the Aussie bowlers in his own inimitable style and left a lasting legacy on this game.